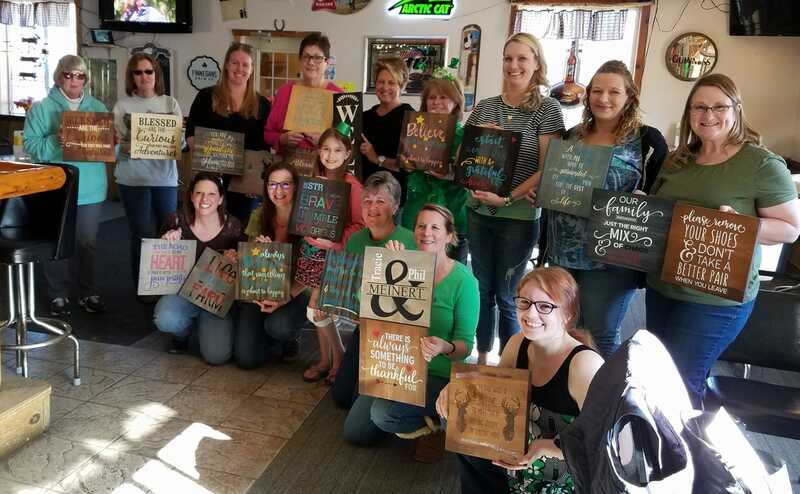 A fun and informal sign painting party for all ages. Sign up with and choose your design from One Little Piggy woodworking & Custom Signs. They can also make custom stencils. Check facebook for complete information.